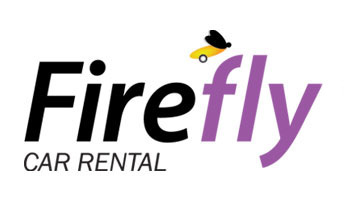 Firefly Car Rental is a low cost car rental brand owned by Hertz. Hertz developed the new brand to replace Advantage Rent a Car which was sold following the acquisition of Dollar Thrifty Automotive Group. The offices for Firefly are located inside the terminal building at the front of the Arrivals (Llegadas) Hall. The rental vehicles are collected and returned at the car parking area behind these offices. This is a small vehicle with two or four doors, and is best suited to two to four occupants. The comfort level in such a car will depend on the size of the passengers. An economy hire car is suitable for shorter trips, and will be easy to park with relatively low petrol costs, making it ideal for anyone on a tight budget. If you have a large amount of luggage, however, this won’t be the right type of hire car for you. This type of hire car is great for shorter journeys, and it can accommodate a family and their luggage (as long as it’s not excessive). You will find this type of hire car better equipped than the smaller vehicles. Most compact hire cars come with air conditioning. This is a perfect type of car to hire if easy parking and low fuel consumption are priorities for you. A larger sized car with a bigger engine that won’t break your budget. This type of hire car comfortably fits four or five people, and can cope with a standard amount of luggage. Longer journeys can be made without anyone feeling cramped. The intermediate or standard hire car is a good choice for anyone wishing to travel around and explore outside of their immediate destination. This category includes features such as automatic transmission, navigator, cruise control and rear parking camera.